Thank you all for taking part in the Middlesex County Championship and Visitors Tournament, the results are now available here. Congratulations to all of the winners. 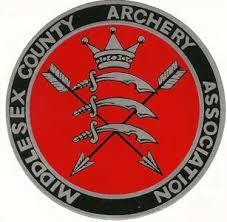 Thank you also to the Judges and Lady Paramount, Irene Lawrence who helped throughout the weekend, as well as those other Middlesex Archers without whose help the tournament would not have been a success, especially members of Spelthorne Archers whose venue the tournament was held in.